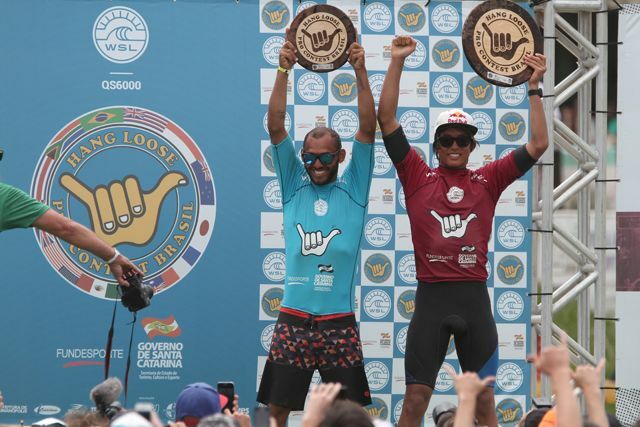 Surf News Network 6 November, 2016 – Kanoa Igarashi caught the best waves at Praia da Joaquina and defeated Jadson Andre (BRA), 26, by a score of 15.87 to 13.37 in the Final at the 2016 WSL QS 6,000 Hang Loose Pro Contest in Florianopolis, Brazil. By winning the event Igarashi earned $25,000 in prize money and six thousand points, which catapults him to first place on the QS rankings, confirming another year on the Samsung Galaxy Championship Tour in 2017. This is the second time that Igarashi has clinched his spot on the CT after a win in Brazil. 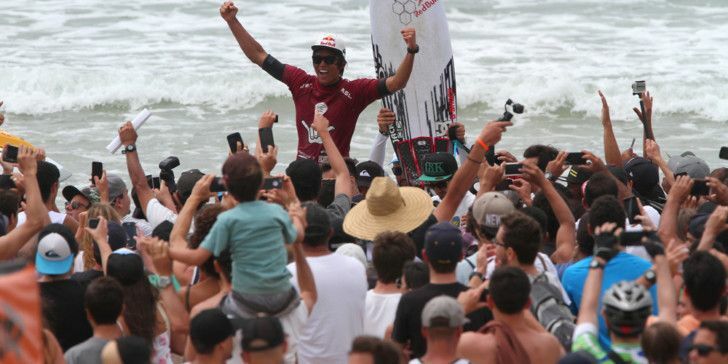 Last year, the young Californian won in Itacare, Bahia to guarantee his spot on his maiden journey to the big leagues. 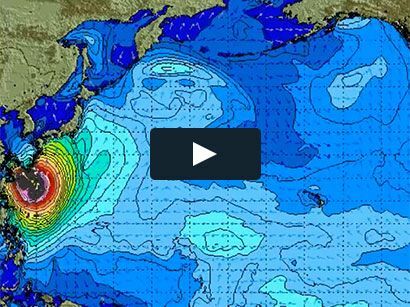 This year, Igarashi was the standout surfer of the event at Praia da Joaquina with expressive performances throughout the contest and will remain amongst the Top 34 in 2017. In Heat 1 of the Semifinals, Igarashi beat his traveling partner and roommate Griffin Colapinto (USA) by a score of 14.84 to 11.50. However, no love was lost as Colapinto helped to chair up Igarashi to the winner’s podium. “I’ve known Griffin for a long time, we’re staying together and he carried me up the beach. I’d do the same for him if he had won,” concluded Iagarashi. Jadson Andre has had a rough time on the CT this year, but with his runner-up finish, Andre earned 4,500 points and has jumped from 58th to 29th on the QS rankings. But with two QS 10,000 events coming up in Hawaii, Jadson still has an opportunity to maintain his status on the CT.
Jadson had to overcome a bout of the flu earlier this week, but overcame the challenge to reach the Finals. In Heat 2 of the Semifinals, Jadson Andre took on high-flyer Deivid Silva (BRA), 21, but wave selection was crucial in the 2-foot waves at Praia da Joaquina. With his 3rd place finish, Silva now sits in 11th place on the QS and will now head to Hawaii for the chance to enter into the top 10. The Hang Loose Pro Contest is celebrating its 30th anniversary and many of the people that took place in the event in 1986 now had the opportunity to bring their children to show how the history of Brazilian surfing has developed over the last 30 years. Alfio Lagnado, head of Hang Loose, was ecstatic with the overall outcome of the event.